The present market focus is on delivering real-time, meaningful and responsive data back from digital platforms and processes to the user to help accelerate decision making and improve business performance. “ABBYY helps in digitizing documents and automating these processes, by delivering critical data and context to the business process or workflow,” says Dean Tang, CEO, ABBYY NAHQ. Tang a golf enthusiast understands that in golf as well as in business, one has to adapt to a variety of evolving conditions, including changing market landscape, and new tools. Through advanced capture platforms like ABBYY, customers can secure, tag, and route content as soon as it enters the enterprise. Regardless of the input channel: email, fax, postal mail, mobile phone, tablet, scanner, MFP, web post or ftp, ABBYY technology can immediately process the content, enabling enterprise systems and processes to be more agile and responsive, and giving businesses more information to make informed decisions. Customers also gain the ability to apply business rules and security protocols immediately upon content inflow ensuring information is treated with the appropriate level of care and urgency. “Content is automatically routed to the right processes, users, or groups. We enable clients to successfully leverage this capability as part of their hosted, cloud, dedicated and shared service offerings,” says Tang. ABBYY’s FlexiCapture platform helps enterprises and government agencies gain control over content and communication between the processes and the customers by automatically capturing content from incoming correspondence, and converting those messages and pages into usable information. In addition, FlexiCapture helps companies automate and accelerate a variety of processes, ranging from their mortgage to new account openings, customer onboarding, claims, accounts payables, accounts receivables, enrollment, and customer service requests. Leveraging ABBYY’s award-winning optical character recognition and data capture technologies, Recognition Server acts as an enterprise or departmental hosted service enabling enterprises and government agencies the ability to scan documents and convert incoming content into searchable formats. “Clients can leverage Recognition Server to support their fleet of multi-function peripherals in digitizing customer documents and converting them into searchable PDFs that are added to their SharePoint repositories,” says Tang. This allows businesses to more freely and quickly pass important information across the enterprise or between business units, streamlining business processes and improving time-to-action. The recently launched FlexiCapture for Mailrooms enables the automatic identification of high priority documents contained within an entire batch. The smart solution routes these documents of high importance to specific processes, workflows and users in order to improve the overall process agility and customer service. For instance, mobile workers can quickly route important information back into internal processesby capturing critical information or documents via their mobile devices, initiating a critical business function back in the home office. This promotes not only improved time-to-response, but also allows competitive advantages to be realized. As we look to the future, advanced technologies such as text analytics are playing an important role in the identification of documents and important entities and relationships within documents. 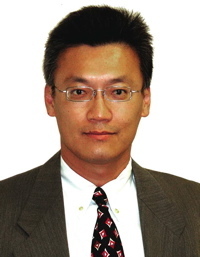 “One way we see this playing out in the future is in industries like eDiscovery or Big Data where understanding the contextual meaning of the entities and text within documents can lead to quicker identification and locating of pertinent information, which in turn would drive more well-informed business decisions in real-time,” says Tang. Tang lists ABBYY as one of the few companies solely focused on the automation and acceleration of document-centric processes. “We see this type of technology and the benefits it can impart back into the business as being a real game changer,” said Tang. The scientists at ABBYY continue to focus on improving the automatic understanding of content, text and context, and enabling customer’s current systems to be more effective so that they can make better decisions, and reduce costs. “We are approaching a time where relationships, entities, and meanings are understood in a business context. This has tremendous promise,” concludes Tang.